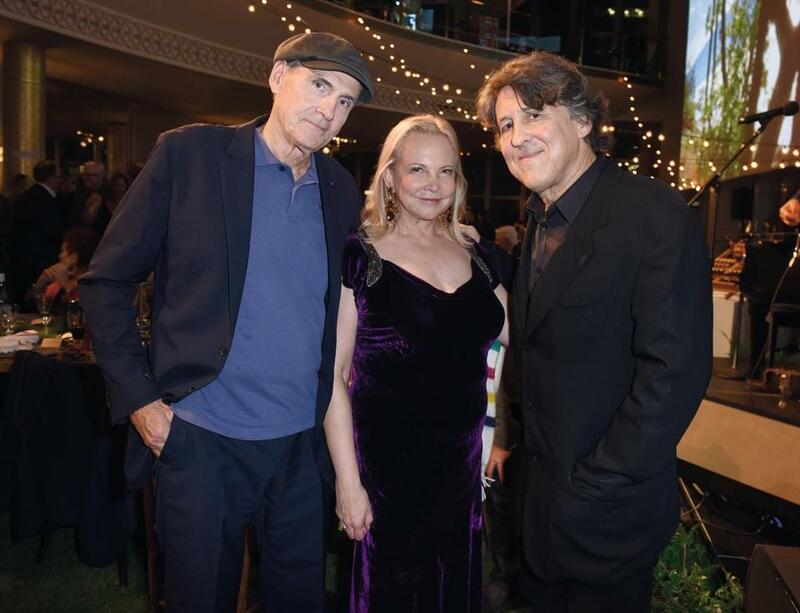 James Taylor, his wife Kim Taylor, and rock journalist Cameron Crowe attend Joni 75: A Birthday Celebration Live at the Dorothy Chandler Pavilion in Los Angeles. Following the Wednesday concert, the Music Center further honored Mitchell with a gala, “The Music Center’s Soirée: JONI 75,” at which Mitchell was awarded the center’s Excellence in the Performing Arts Award for her “pioneering spirit and timeless art and music,” according to a press release. Mitchell received the award from legendary rock journalist Cameron Crowe, another longtime friend.